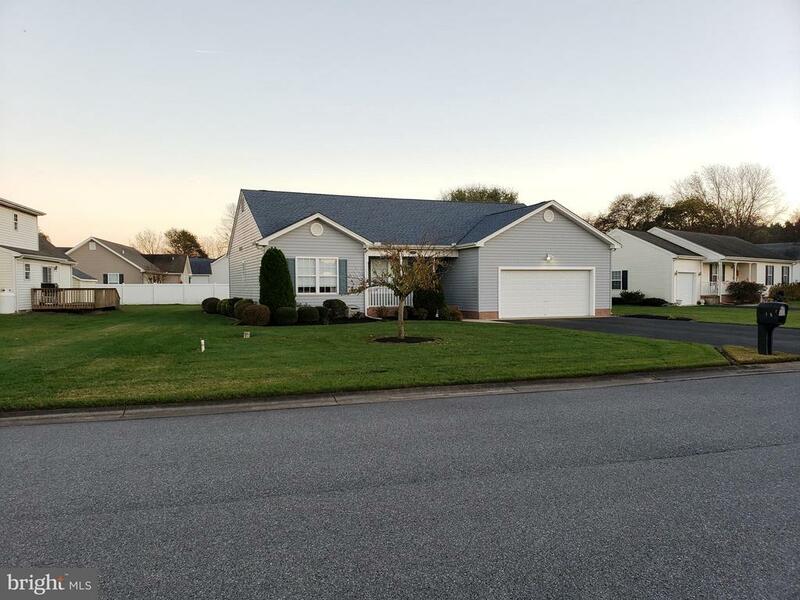 All Delmar homes currently listed for sale in Delmar as of 04/23/2019 are shown below. You can change the search criteria at any time by pressing the 'Change Search' button below. If you have any questions or you would like more information about any Delmar homes for sale or other Delmar real estate, please contact us and one of our knowledgeable Delmar REALTORS® would be pleased to assist you. "2 Poultry houses 40 x 500 each, manure she and two car garage 50,000 capacity concrete pavement and landscape. 2015 improvements of $30,000 for Re circulation cool pads. 2016 $13,000 for 10 new tunnel fans. 3.5 yrs ago Garage building $25,000 in 2011. 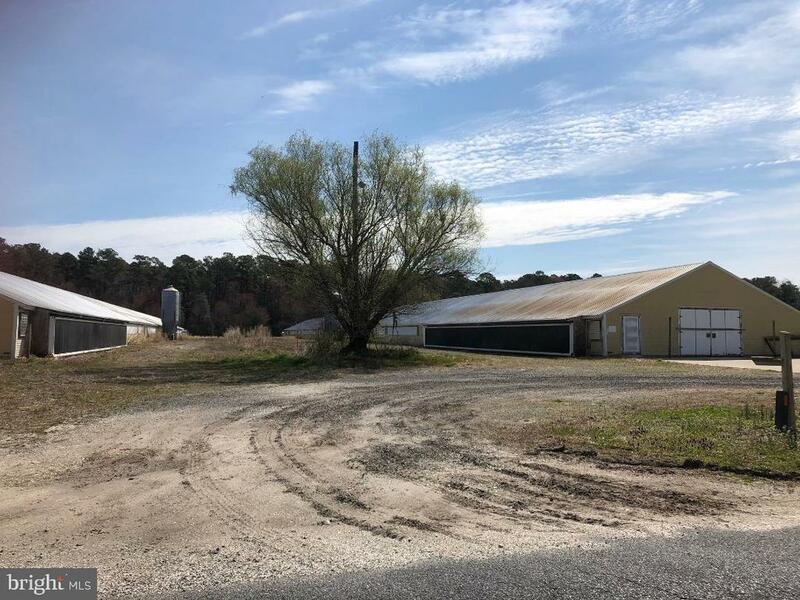 The property and home next store is also for sale and if both are purchased buyer could have total of 37 acres to add more poultry houses"
"Single parcel property for sale in Wicomico County. 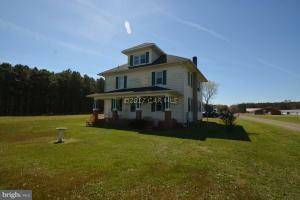 Primary Residence - original farm house (TID 04-012054) - 4 BR, 1 Bath, fenced in in-ground pool. Property and residence has been well maintained, landscape and are in move condition after settlement. Multiple Income streams on the dual property including potential residential lease income, farm income (CREP payments +- 17.50 Ac 2012-2027 and +- 19.10 Ac 2017-2027, transferable), and potential hunting lease income." 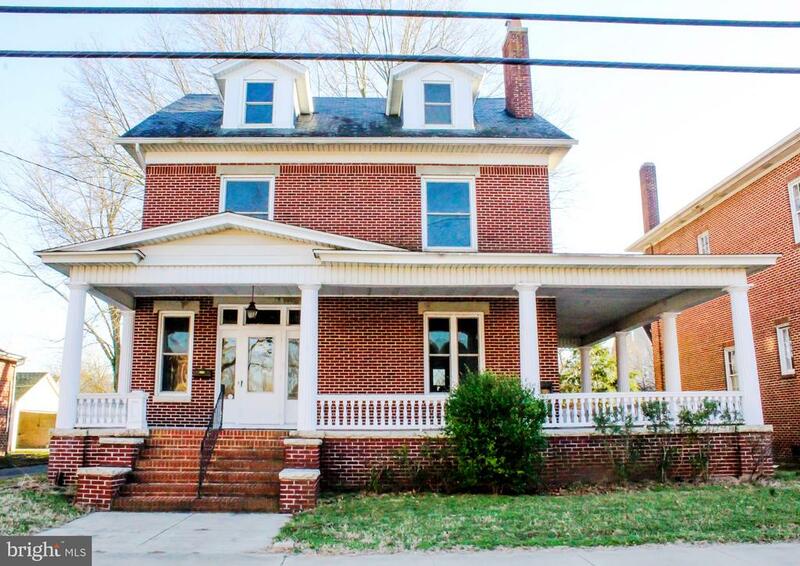 "Beautiful property located in Delmar, MD. Included is a very nicely remodeled 2 story home. This farm boasts 2 poultry houses (43x400) and (53x500). Two manure sheds a 4 car detached garage and an equipment shed. Beautiful condition and well kept. Minimal upgrade requirement for contract with Tyson. Currently growing 7 week birds with Tyson as the integrator." "What an absolute gem of a home! 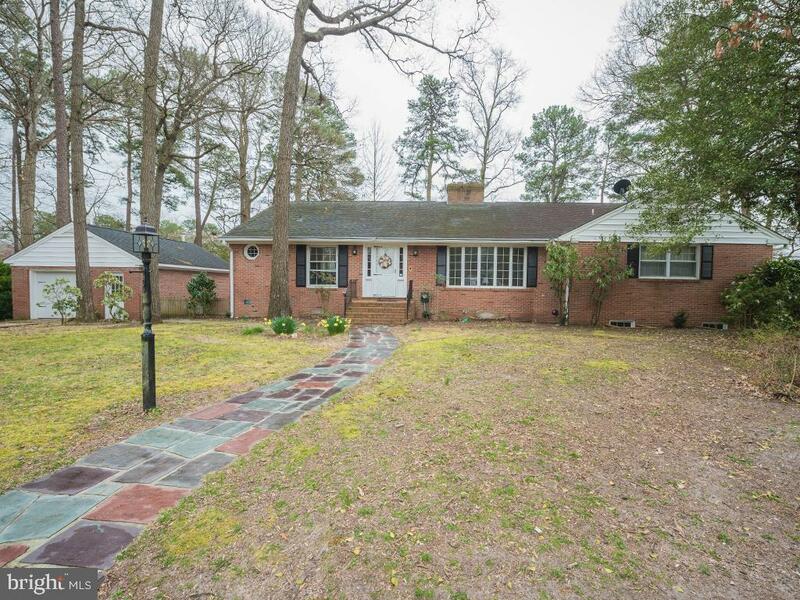 Tucked away in a quiet neighborhood on the outskirts of Delmar and Salisbury, sits this stunning brick home on the water that's waiting for it's new family to come and make it their own! 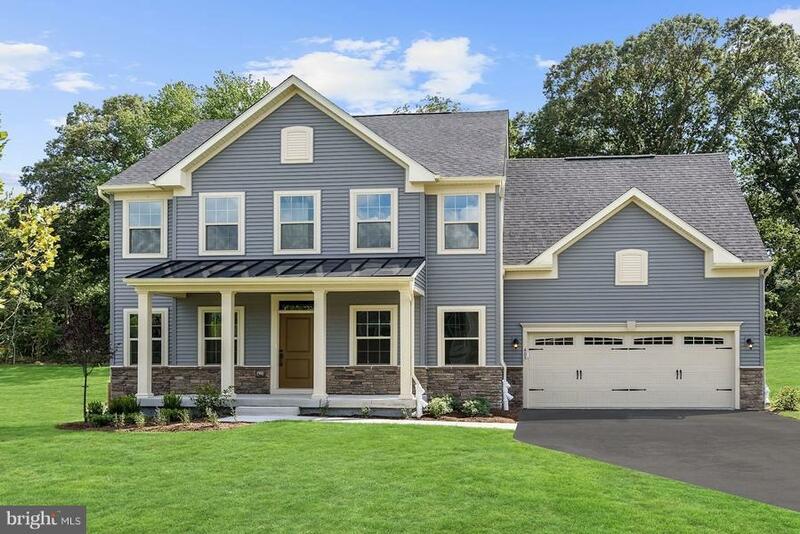 This home features a very open upstairs floor plan, with two seperate living rooms, one overlooking Leonards Mill Pond and open into the gourmet kitchen. Formal dining room, laundry, and a master suite on the entry level of the home boasts family time, with over 3000sqft of living space total for the family to spread out as well. 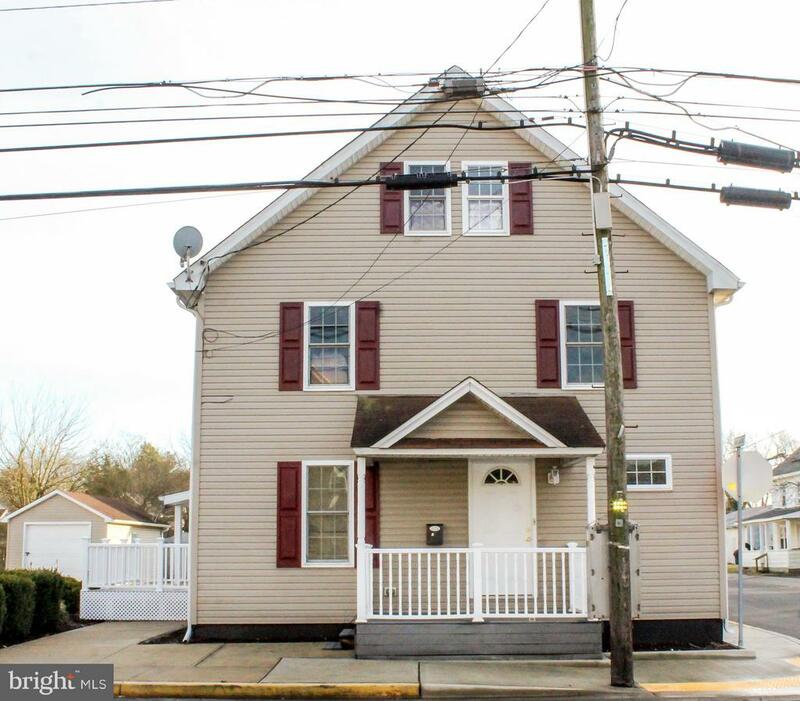 Recently renovations include a luxuriously elegant master bath, updated walk in closet in the master suite, with the second bedroom upstairs featuring its own full bath as well. Walk downstairs to another open living area with a kitchenette, two bedrooms, one more full bathroom, and ample storage space along with access to the homes utilities. Enjoy quiet nights on the back patio overlooking the water, fishing from the dock on the property, with a fenced in yard! Property also features a detached garage with a walkway into the home, tankless water heater, stainless steel appliances, two fireplaces, new flooring throughout areas of the home, and too many features to list! Call today for your own private showing!" 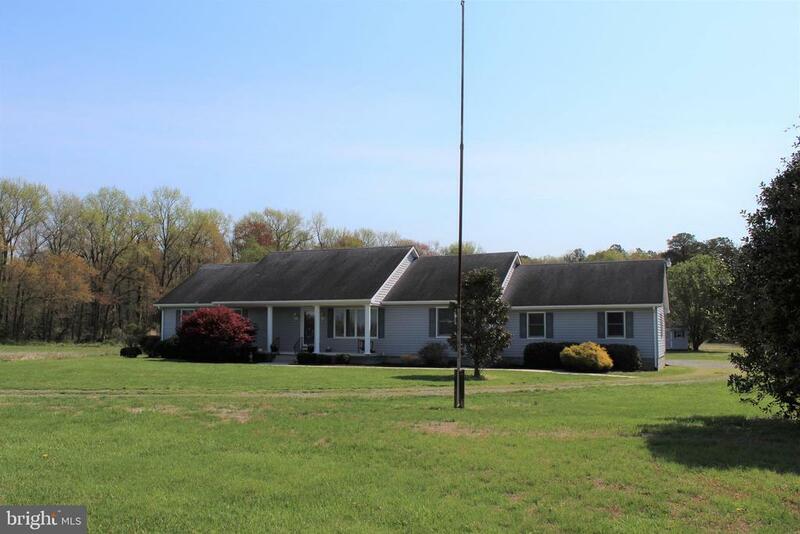 "This great 3 bed 2.5 bath home is located in the Delmar School District and sits on 5 acres with an addition 20 acre parcel, so 25 total acres!! The home features an open floorplan, kitchen with SS appliances, bright family room, formal dining room, living room, master with attached bathroom, mud/laundry room, back deck, attached garage, 2 storage sheds, and more! Call me today, this home won~t last long!" 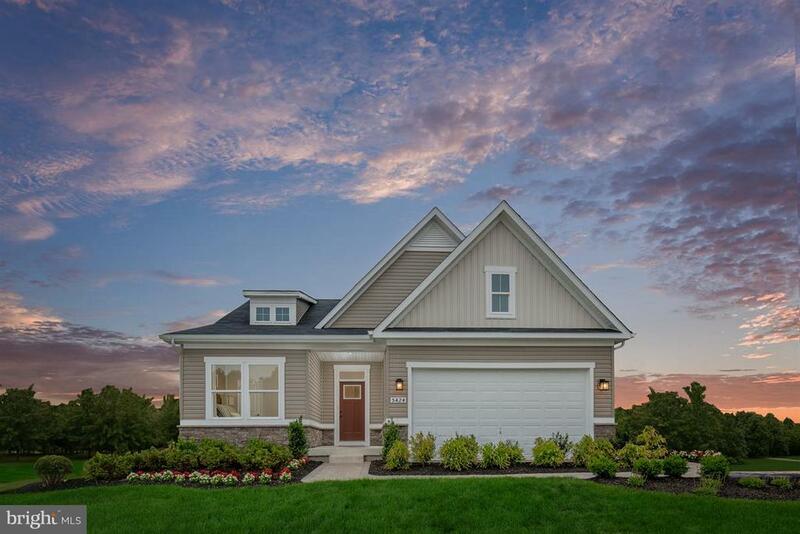 "Heron Ponds provides an affordable way to own a brand new single-family home in Delmar, MD built by Ryan Homes. 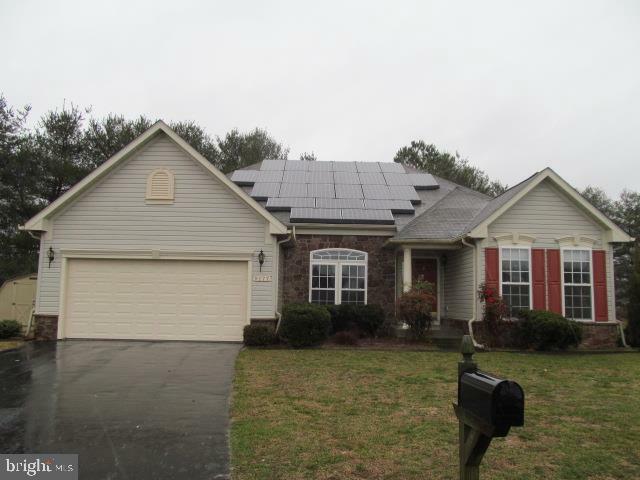 There are several limited time opportunities to save on these energy efficient homes with many exciting features. Come and let us show you the Roanoke or another of several floor plans also available. Contact me or your agent for more information." 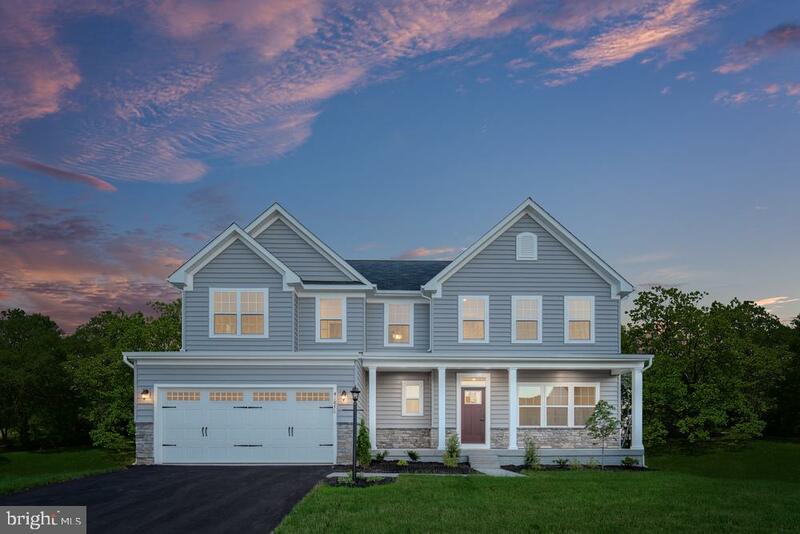 "Heron Ponds provides an affordable way to own a brand new single-family home in Delmar, MD built by Ryan Homes. There are several limited time opportunities to save on these energy efficient homes with many exciting features. Come and let us show you the Powell or another of several floor plans also available. Contact me or your agent for more information." "This Waterfront 3bed 1.5bath home sits on an amazing lot on Leonard Pond and has been partially renovated and features spacious rooms, beautiful water views throughout, living room with brick wood burning fireplace, beautiful tile in both bathrooms, heated tile floors in full bathroom, laundry/mud room, stairs to the 2nd floor that could be finished for more living space or great for storage, direct water access to from your backyard, large screen porch, two brick patios, and more! Call today to see this beautiful property!" 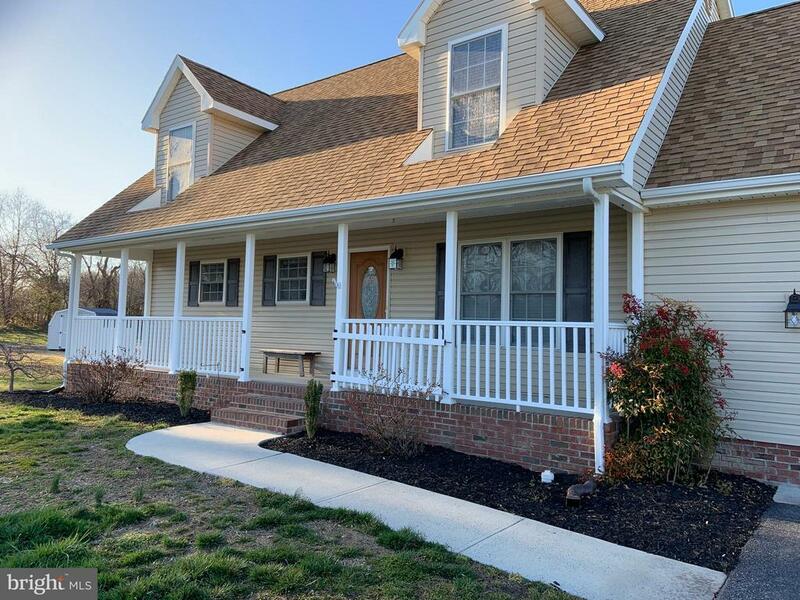 "This 5 BR, 2 BA, 2 car garage Contemporary Cape Cod home with welcoming front porch will give you everything you need and not break your budget!! 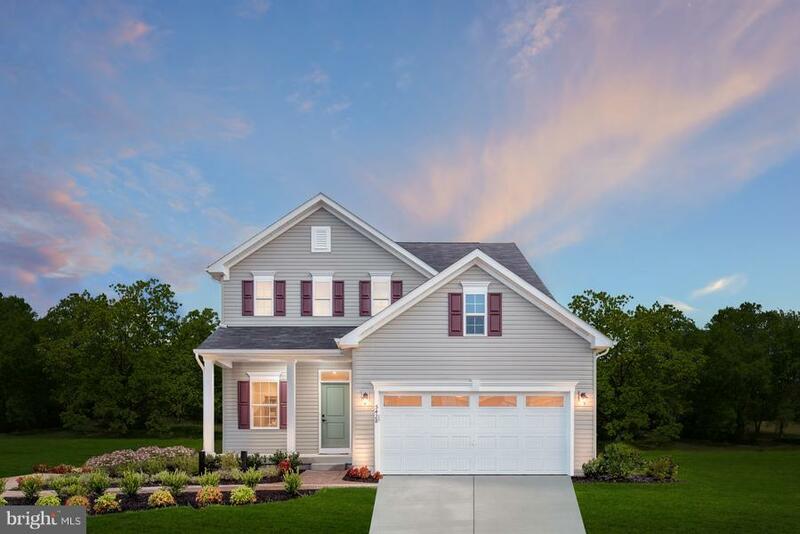 Sought after Breckenridge Community in Delmar, MD!! The ONLY FIVE BEDROOM ever available in this community of beautiful homes!! Award winning Delmar school district! All new paint and carpet, all new ceiling fans in every room, outside light fixtures, new back door, new smoke alarms..... move in ready! Home was pre-inspected by Bud Esham for Buyer's convenience and cost saving and repairs already done! Features include 1st floor master, laminate wood, tile in kitchen and baths, built in bar in garage, beautiful stone patio and firepit by the cascading koi pond. Master BR and Kitchen open to the oversized rear deck. Inviting LR with gas FP and built in TV area. Corner lot overlooks tranquil community pond across the street and has oversized/expanded driveway for lots of parking. This home is priced well below all other recent sales in price per sq ft in Breckenridge! Sizes, taxes approximate. Gas line built into deck for grill hookup. Fireplace as-is. No propane tank onsite. Was working previously." "Heron Ponds provides an affordable way to own a brand new single-family home in Delmar, MD. Ryan Homes is offering several limited time opportunities to save on these energy efficient homes with many exciting features. Come and let us show you the Ballenger or another of several floor plans also available. Contact me or your agent for more information." "wont last long! 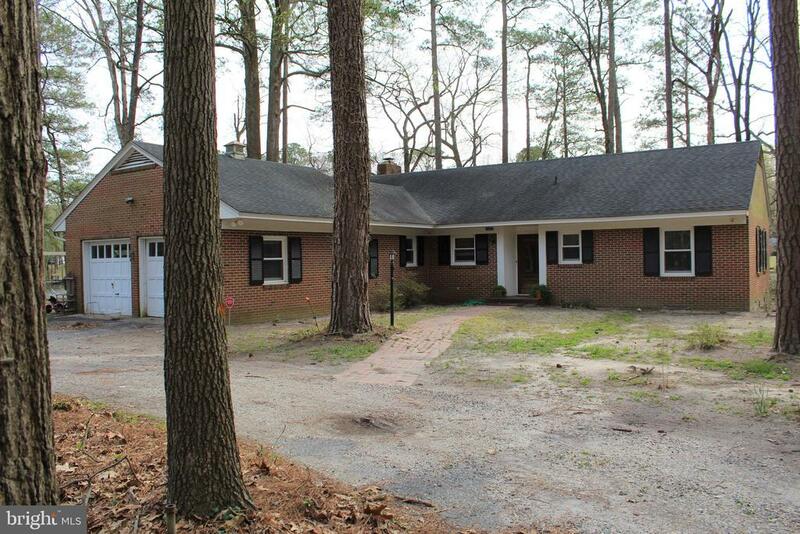 3 bedroom 2 bath rancher, hardwood and new carpet in bedrooms. New double oven, cooktop, and microwave. This is a Fannie Mae property." 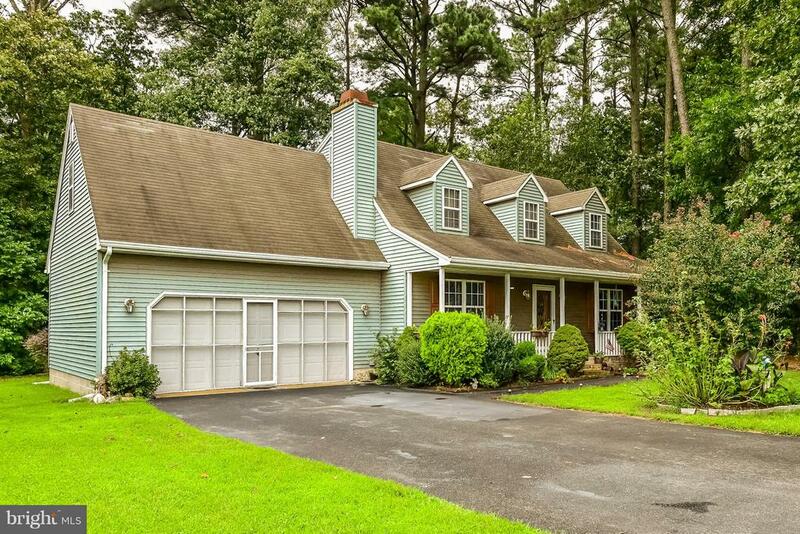 "Tranquility.. home in peaceful private wooded area with deeded access to Leonard's Mill pond. Located in the Delmar District just seconds away from shopping and entertainment. Features include four bedrooms, 3 full baths, Large living and dining combo, Family Room with fireplace. Great separation of space with Large rooms and Bedrooms. Outdoors features include over sized driveway, fenced in yard, deck and gazebo perfect for entertaining. Take just a short walk through the trees to your own little fishing and boating area on pond." "Beautifully maintained 4BR/3 Bath Rancher on 2 Lots with new self contained in Law Suite apartment with their own private access. 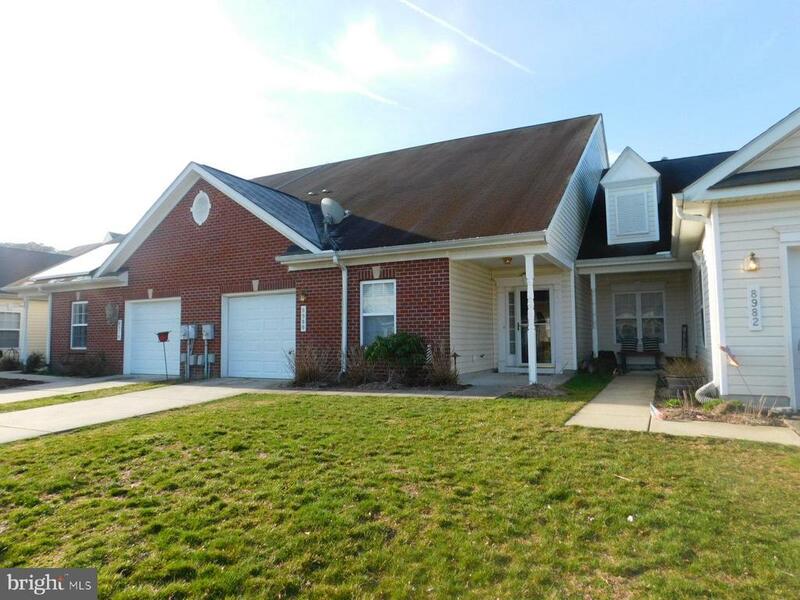 Locate on quiet street close to town center , Salisbury Shopping Mall, Peninsula Medical Center and Salisbury University. Only 40 minutes from Ocean City Beaches." "Location....OH YES! This 3 bedroom, 2.5 bath 1,625 sq. ft. cape cod on a quiet country street on cul-de-sac road is just what the doctor ordered! 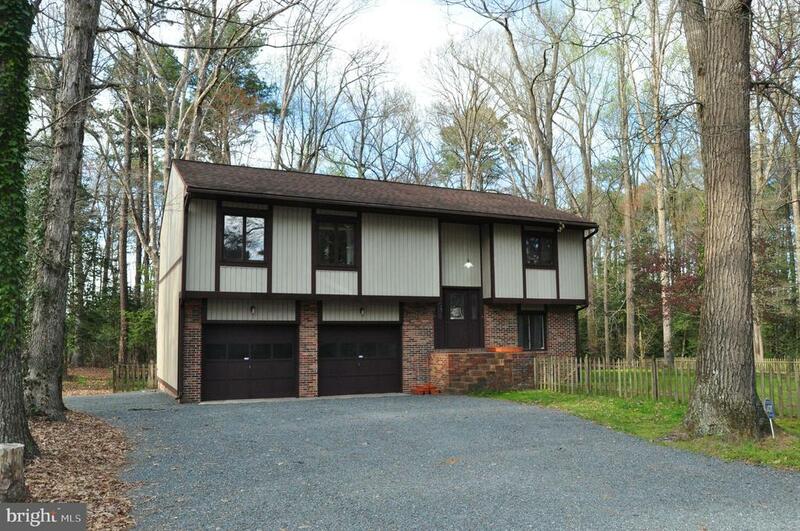 Relax or enjoy a cookout on the large back deck that has a mature tree line behind it. Next to Woodcreek Golf, 5 minutes from shopping and restaurants and a short 40 minute drive to the beach. 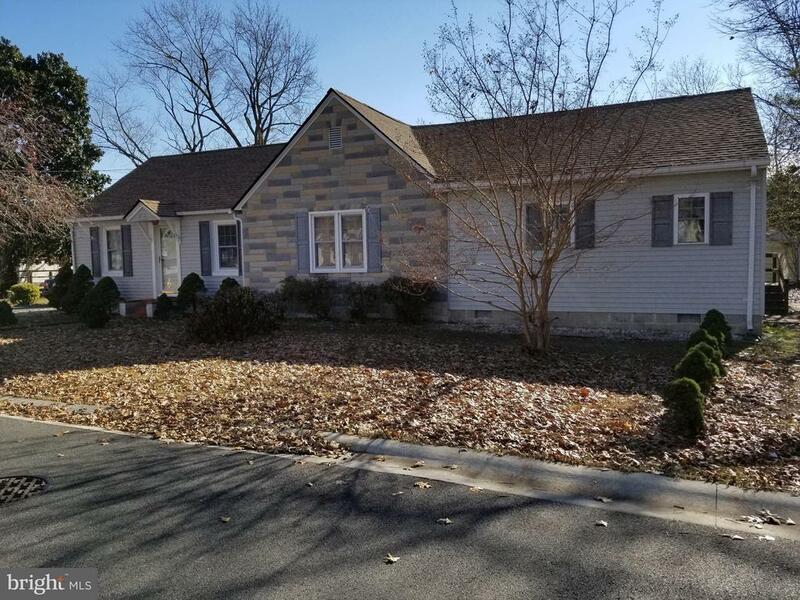 Delmar is an award-winning blue-ribbon school district and an attached 2-car garage with paved driveway will make it the perfect choice for your next home and after all....YOU DESERVE IT!" "Heron Ponds provides an affordable way to own a brand new single-family home in Delmar, MD. Ryan Homes is offering several limited time opportunities to save on these energy efficient homes with many exciting features. Come and let show you the Alberti Ranch or another of several floor plans also available. Contact me or your agent for more information." 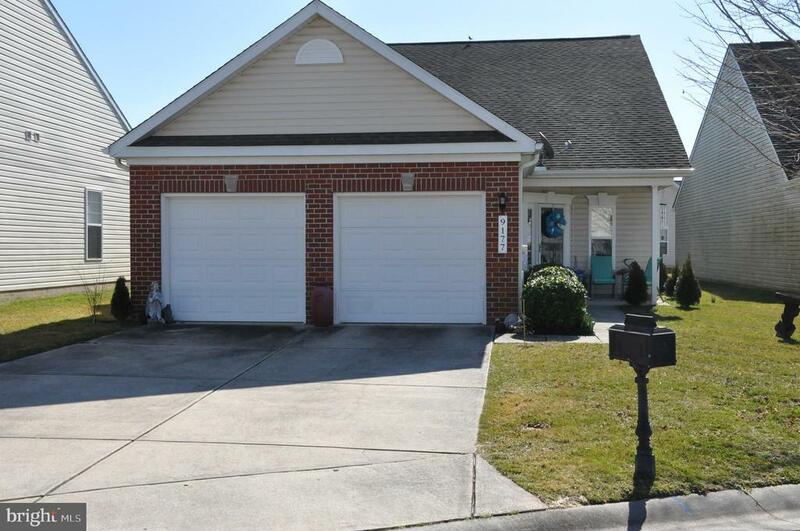 "Beautiful and elegant 3 bedroom 2 full bathroom Rambler with a convenient one level spacious floor plan. Some renovations include a new roof with Tesla solar panels, laminate wood floors in all bedrooms, custom blinds, and trex deck. Bathrooms have been luxuriously equipped with auxiliary heaters. This home has an irrigation system that was just winterized. This home has an oversized 2-car garage and is extremely efficient. 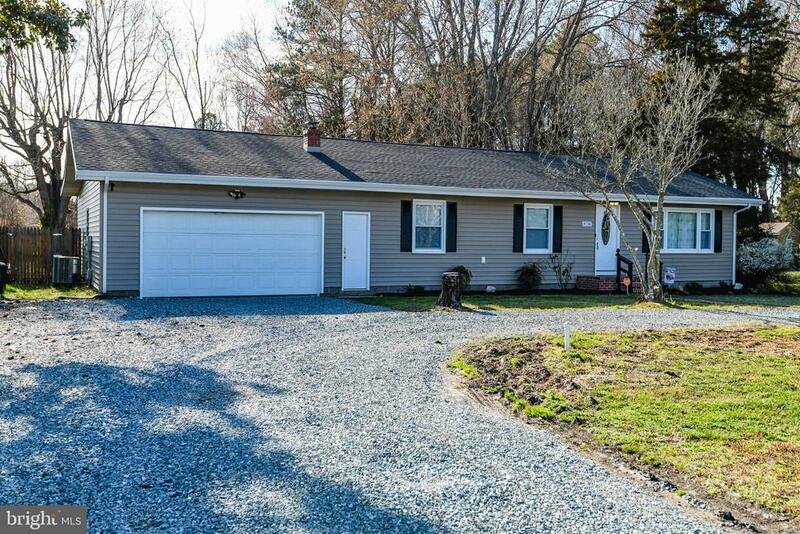 Ideally located near Route 13 (N Salisbury Blvd) and Route 50 (Salisbury Bypass) Move in ready! Must see!" "One of the highest home sites in the County. 5 acres cleared. 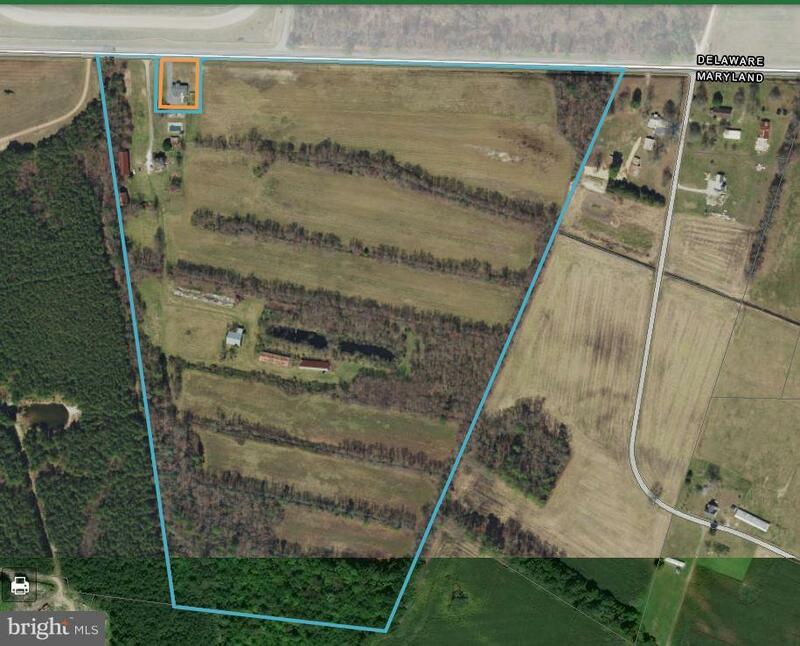 37.2 acres wooded with pine trees 22 years old. Well, septic, electric on site." "Contemporary Home with Serene view of the Wood Creek Golf Course right out the back door. New renovations include carpeting, porcelain tile, paint, lower cabinets, bathroom and Stainless appliances. 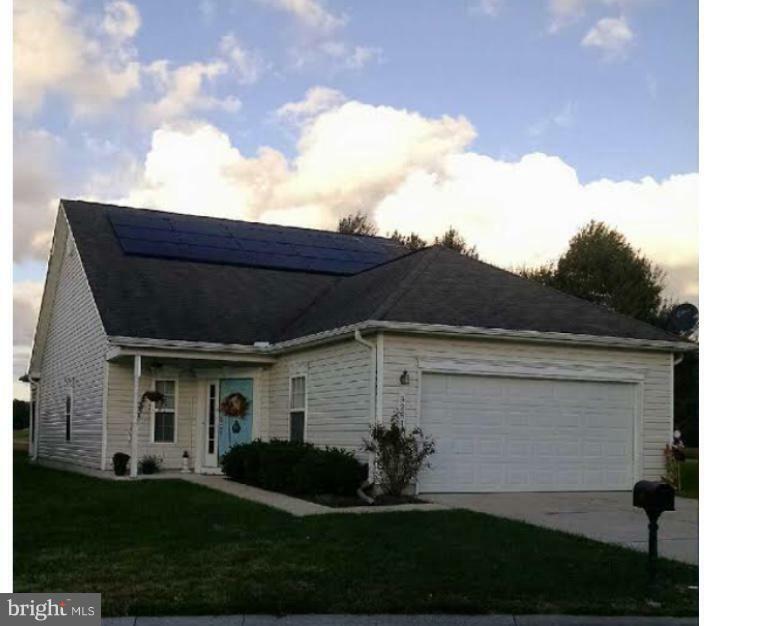 Solar panels on the roof installed in 2018. Spacious master with walk-in closet and deep garden tub. Close to Shopping, restaurants, entertainment, employment, schools are very well rated, Lawn maintenance is included and Membership to Wood Creek Golf Links is Free to all Owners!! WHAT IS NOT TO LOVE!!" "Wake up happy! Enjoy your morning coffee in the bright, open kitchen with breakfast bar. Open and inviting floor plan with tons of natural light in this 3 bedroom, 2 bathroom 1,824 sq. ft home. Spend your summer evenings bar-be-queing on your deck with mature trees providing shade, overlooking your huge fenced-in back yard. Located just outside of town but close to the dining and shopping north Salisbury has to offer, yet in the Blue-Ribbon award winning school district of Delmar. Workshop and extra storage space off the garage. Comes with a home warranty for peace of mind, Vivent security system with visual doorbell and intercom, programmed door lock entry, waterproofed crawlspace, 2 car garage and water purity system. This home has it all. And after all....YOU DESERVE IT!!" "Beautifully Updated Turn Key Home. This 3 bedroom 3 full bath in Wood Creek Golf Community is a true gem. First Floor Master bedroom. First floor laundry. 2 car garage. Covered patio for entertaining. New Appliances in 2017 Black Stainless, Granite counter tops, Cabinets refinished, new door/drawer hardware. New Carpet in 2018. Features Tile floors in Kitchen and Bathrooms.New vanity's in Main & Second floor bathrooms with quartz tops. New vanity with Travertine top in Master Bathroom. Large shower and soaking tub in Master Bath. Membership to Wood Creek Golf Links is Free to all owners." "Unique corner lot, 4 bedroom with an optional in-law suite on the 1st floor. This home has been entirely updated! You enter into a beautiful foyer with ceramic title with arch ways. Kitchen offers stainless steel appliance gas cooking range and an abundance of cabinets and counter space. Upstairs is the 4 bedrooms all with large closets. Walk up attic-which is great for storage. This property also offers a 2 car side entry garage with a large driveway and an extra shed with electric." 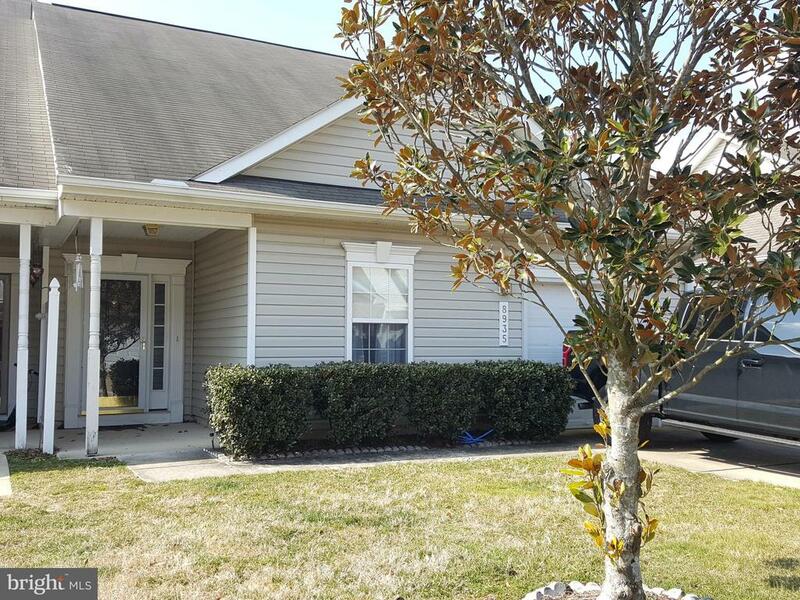 "True 3 bedroom, 3 bath townhouse available in the desirable Wood Creek Golf Community. The front entry opens to beautiful wood floors and high ceilings. The open layout showcases the wrap-around granite kitchen countertops and vaulted ceilings with 2nd floor balcony. Tall windows and a southern exposure keep the living areas light, with remote-controlled 2nd floor blinds for added convenience. The modern kitchen has extensive counter space, sleek black appliances, an Instant Hot dispenser at the wide sink, pantry with shelving, and custom hanging light fixtures. A laundry room leads to the single-car garage with overhead storage rack. The spacious master bedroom on the 1st floor has a walk-in closet and private bath with double sinks, garden tub, glass shower stall, and separate toilet. The front bedroom has a double closet and accesses the full hallway bathroom. On the second floor, a balcony large enough for a sitting area overlooks the living and dining areas, and leads to the large 3rd bedroom with walk-in closet, 3rd full bathroom, and a wide storage/furnace room. A lighted, custom stone patio overlooks the golf course. Wood Creek Golf Community also has a community pool, club house, and includes lawn care." "This home is located in the town of Delmar and offers 4 over-sized bedrooms, walk in closets, large finished attic that would be perfect for a kids playroom etc. Beautiful upstairs sun room with exposed brick. This almost 3300 sq ft of living space offer a cozy fireplace, dining room, study and a gorgeous foyer with the original banister." "Enjoy the life here at Wood Creek Golf Community, where you are just minutes from the Mall and Restaurants. Relax at the private community pool or throw your beach chairs in the car and head to the Beach about half hour away. This very well maintained home with 2 Bedrooms, Master on entry level with Plantation shudders, walk-in closet and master bath with garden soaking tub, separate shower and dual vanity. Second bedroom also on entry level has large closet and full bath right outside the bedroom. Beautiful granite countertops in your bright open kitchen with island suitable for barstools and double sink. Spacious living room with plantation shudders on windows and slider that open to a nice deck with retractable awning. Small yard. Upper level loft could easily be a 3rd bedroom, office or additional sitting area/playroom,rec room. Cathedral ceilings in living area. dual zoned thermostats. One Year Home Buyer Warranty. Call today for your personal tour."